Have you ever wondered why the soreness you feel in your muscles is strongest 24-48 hours after a hard workout? It is common to feel tired and fatigued right after an intense workout, but the muscle tenderness, often referred to as Delayed Onset Muscle Soreness, or DOMS for short, will not be noticeable until a day or two later. A common, but incorrect belief, is that DOMS is caused by an accumulation of lactic acid or lactate. Instead, most research now supports the theory that the soreness we experience is caused by microscopic ‘tears’ in our muscles. We often experience DOMS from eccentric muscle contractions. An eccentric contraction is when the muscle fibers are lengthening while exerting a force. A couple common examples are the quadriceps during the lowering phase of a squat or the biceps during the lowering phase of a biceps curl. A workout with lots of eccentric loading, such as running down a mountain, will leave you feeling tender and sore in the worked muscles in the upcoming days. The Pain is From the Recovery Process! You may be thinking that we should immediately feel pain during exercise if that is when we are causing the actual physical damage to our muscle fibres; however, it is actually the repair process, and not the muscle tears, that results in us feeling pain. Alex Hutchinson describes the science in his book, Which Comes First, Cardio or Weights? : “bradykinin is released by the damaged muscle, which, after a delay of about 12 hours, causes an increase in levels of “nerve growth factor” that lasts for about 2 days”. The nerve growth factor makes your nerve endings more sensitive “so that any movement of your inflamed muscles presses against these hypersensitive nerves and causes pain” (p.62). The microscopic tears, or damage, placed on the muscle fibers will result in the body repairing itself ever so slightly stronger than before. Therefore, pushing yourself to a level of slight soreness afterwards is a positive sign because your body will then adapt and become stronger. 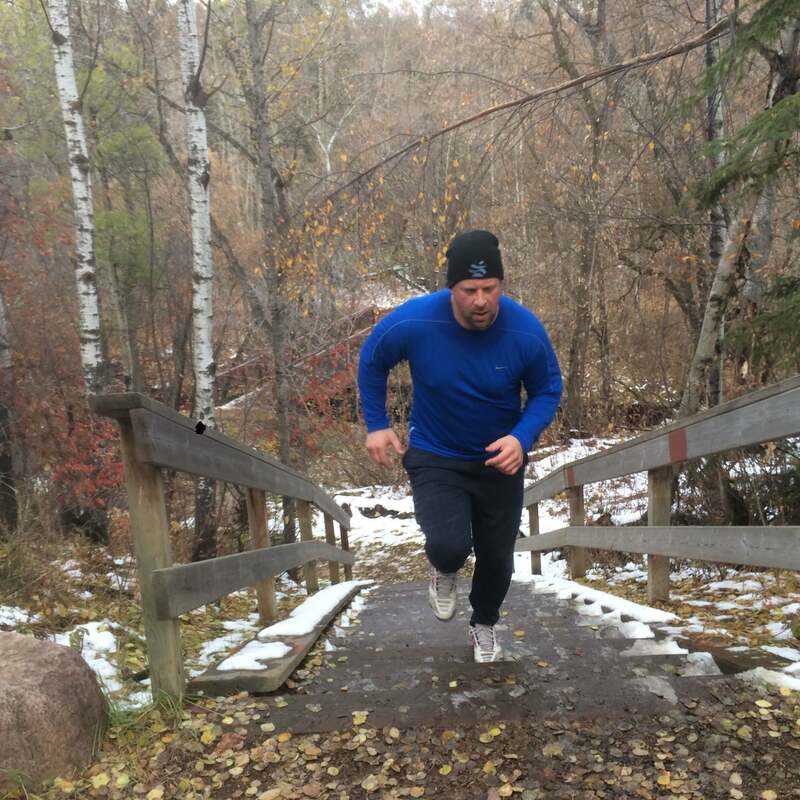 The toughest part is determining how much you should push yourself. You want to exert enough intensity to cause a small amount of damage to elicit positive adaptations, but not so much that you need to skip your next workout because you are too sore. 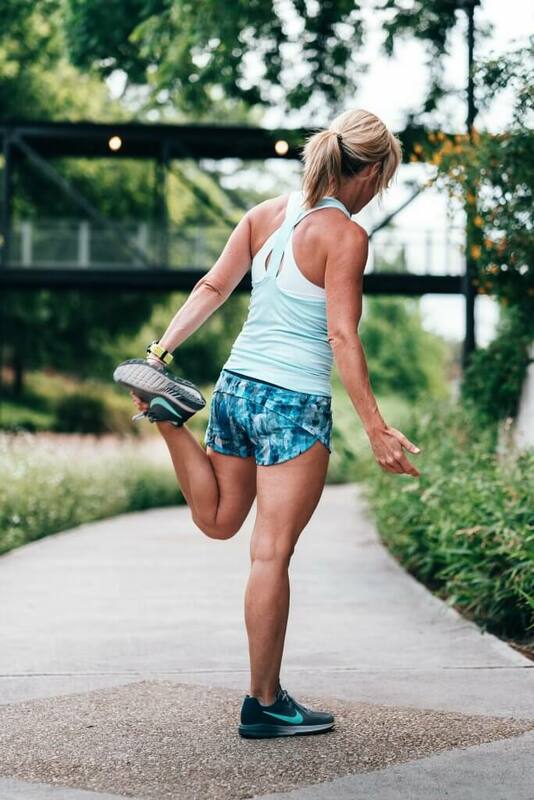 If you are new to exercising, or just getting back into exercise after a short-or-long hiatus, it is wise to start off slowly and gradually build your volume and intensity. With new or returning clients, we always intersperse more low-to-moderate intensity cardiovascular intervals in-between the strength sets because it is difficult to know the level of damage being placed on the muscles… until we receive some feedback a day or two later, that is. People are going to experience more DOMS from resistance training compared to machine-based cardiovascular training. We rather err on the side of caution and take it a little easy during the first one or two sessions, focusing on form and technique, versus doing too much out of the gate and then having the client be so sore the following few days that they cannot move without feeling pain. Is There Anything I Can do to Recover Quicker? If you are exerting yourself during your workout or training sessions, which will result in muscle fiber ‘micro-tears’, the key to maintaining your training frequency and intensity is therefore having a quick recovery. However, once the damage has been done, the jury is often out on whether anything can be done to speed up the recovery, besides just waiting it out. A popular method among athletes is to soak in an ice bath post-workout. There is plenty of anecdotal evidence supporting this practice; however, when being tested under laboratory conditions, the research findings still have mixed results. The theory behind ice baths is that the coldness causes the blood vessels to constrict, pushing metabolic waste out of the damaged tissues, and then when the muscles warm-up, new blood enters the tissues helping to expedite the healing process. If you are brave enough to give ice baths a try, the current recommendation is to have the water between 10 and 15 degrees Celsius and to be submerged for 5 to 10 minutes to ensure the coldness penetrates the entire muscle, not just the superficial layers. If subjecting yourself to sitting in an ice-cold bath is not your cup of tea, then foam rolling may be another worthwhile option. A study conducted in 2015 by Pearcey et al. on foam rolling’s affect on DOMS found that participants who rolled following intense exercise not only effectively reduced DOMS, but also lowered their times in several dynamic performance measures. They found that “a 20-minute bout of foam rolling on a high-density roller immediately post-exercise, and every 24 hours thereafter, may reduce muscle tenderness and decrements in multijointed dynamic movements due to DOMS”. 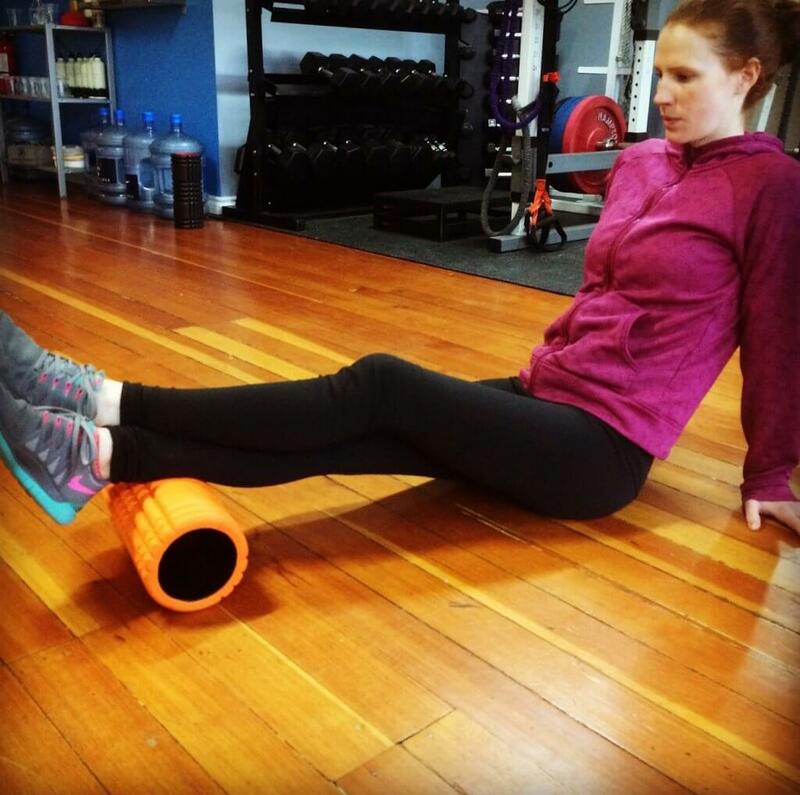 Considering foam rolling can be done on your own and is relatively inexpensive, this may be a very practical method of reducing your recovery time and thus allowing more frequent training sessions. Similar to foam rolling, massage therapy is another common recovery modality. It was recognized to play an important factor in injury prevention and performance when it was first made available to the athletes competing in the 1984 Los Angeles Olympic Summer Games (Beck, 2010). A study conducted by Hilbert, Storzo & Swensen (2002) had subjects perform 10 maximal eccentric contractions with the right hamstring to induce muscle damage. The subjects returned 2 hours post-exercise to receive a 20-minute massage or control treatment depending on their assigned group. They found that “although massage rendered after muscle injury did not alter any physiological variables, it did lower the intensity of soreness after 48 hours”. Currently, much more research is required to determine the optimal frequency, intensity and duration of massage for optimal results. There is evidence to suggest massage does improve recovery, but researchers are still trying to determine the exact mechanism of how this works. Lastly, you may be wondering about stretching? It is still a common belief today that static stretching after a workout will help reduce soreness in the following days; however, the research does not support this misnomer. Hutchinson explains: “an independent review of 25 studies on the topic, published in 2008 by the Cochrane Collaboration, found “very consistent” evidence that stretching has “minimal or no effect on the muscle soreness explained between half a day and three days after [exercise]”” (p.132). But, if you are looking to improve your flexibility, then post-workout is an optimal time to stretch because of your increased core and muscle temperature! Overall, the major take home message is if you are loading your muscles, especially eccentrically, with enough resistance, you are likely to experience peak muscle soreness 24 to 48 hours post-exercise due to small ‘micro-tears’. Unfortunately, once the damage has been done, there isn’t a magic bullet to full recovery. Athletes often practice ice baths, massage, and foam rolling to help reduce the soreness but more research is still needed in this relatively young field of exercise science. And, one last note, it seems even toddlers can learn how to roll it out! Beck, M. (2010). Theory and practice of therapeutic massage. (5th ed). Clifton Park, NY: Cengage Learning. Pearcey, G. E. P. et al. (2015). Foam Rolling for Delayed-Onset Muscle Soreness and Recovery of Dynamic Performance Measures. J. Athl Train. 2015 Jan; 50(1): 5-13. Hutchinson, A. (2011). Which comes first, cardio or weights? McClelland & Stewart Ltd, Toronto.